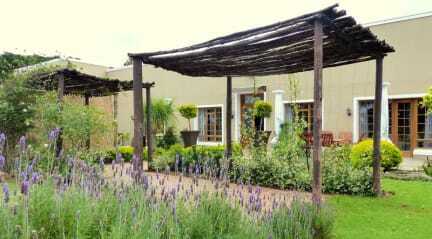 The Kraal was built in 1844 and has been restored to retain its colonial charm and country ambiance. The hotel is surrounded by rambling gardens that offer an intriguing mix of indigenous flora. All of our private rooms have air conditioning and heating and. The bathrooms are equipped with a shower, free toiletries and a hairdryer for your comfort. The locals frequenting the Kraal’s Pub contribute to its hospitable , jovial atmosphere were you will always receive a friendly South African welcome and some local knowledge on things to do and see in the Eastern Cape. 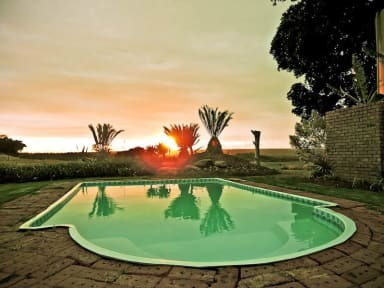 The Kraal Addo serves great value meals including breakfast, lunch and dinner available in our pub or spacious dining room, guests can also relax in the comfortable TV room, or outside on the patio and enjoy our beautiful garden and have a dip in the pool.